Deborah Sawyer discusses this crucial yet unresolved question in the context of contemporary and postmodern ideas about gender and power, based on fresh examination of a number of texts from Hebrew and Christian scripture. Such texts offer striking parallels to contemporary gender theories (particularly those of Luce Irigaray and Judith Butler), which have unravelled given notions of power and constructed identity. Through the study of gender in terms of its application by biblical writers as a theological strategy, we can observe how these writers use female characters to undermine human masculinity, through their 'higher' intention to elevate the biblical God. God Gender and the Bible demonstrates that both maleness and femaleness are constructed in the light of divine omnipotence. Unlike many approaches to the Bible that offer hegemonist interpretations, such as those that are explicitly Christian or Jewish, or liberationist or feminist, this enlightening and readable study sustains and works with the inconsistencies evident in biblical literature. God, Gender And The Bible by Deborah Sawyer was published by Taylor & Francis Ltd in July 2002 and is our 50066th best seller. 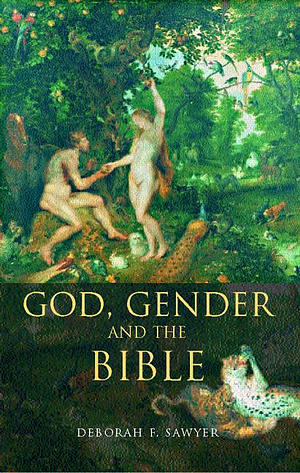 The ISBN for God, Gender And The Bible is 9780415174848. Be the first to review God, Gender And The Bible! Got a question? No problem! Just click here to ask us about God, Gender And The Bible.